Auburn, CA: Audio Partners, 1987. 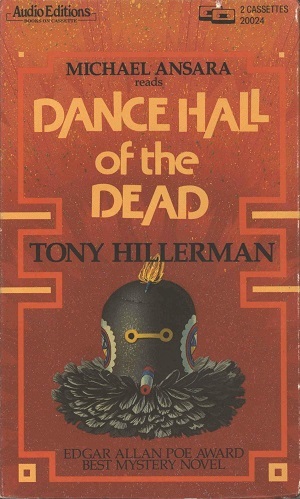 This is the abridged audiobook edition of Dance Hall of the Dead. This 1987 audiobook was published by Audio Partners in Auburn, CA. Each side of the cassettes runs about 41 minutes (165 minutes total or 2 hours and 45 minutes of tape). This audiobook version was read by Michael Ansara. The audiobook has been recorded onto two audio cassettes and includes a cardboard case with a full-color cover design. Format: Audiobook, 17.7 x 10.7 cm.